A specialty cheese shop focusing on foods from small-scale artisan producers. Don't be intimidated - cheeses love you! The woman behind the counter was *very* patient, friendly, and helpful. My only issue with MCC is that it's very tough to park there, but that's not the shop's fault at all. Such a unique shop filled with locally sourced food and drink. They’ve got a new regular in me! Mill City Cheesemongers was great as was their venue Mill Blg.5. My only issue is that I don’t have a smartphone and even though I brought the paper with the bar code on it it did cause an issue because your directions say to use my smartphone. They were very accommodating. Great service and I was able to find the cheese that I wanted. Staff was very friendly and helpful!Helped me select a delicious cheddar cheese! Great little gem in the city. Wide selection and great gift ideas! Friendly and informative about products... would definitely shop there again! The selection of cheeses was different, interesting and tasty. The staff were friendly helpful and gave you samples to try before you buy. Loved it! 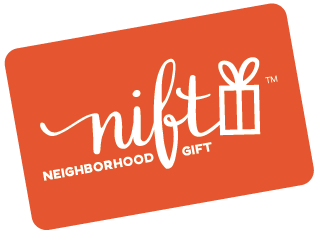 Nift was very convenient to use and introduced me to a fine local store I would may have never discovered on my own. I would definitely go back there again! Staff is very friendly and knowledgeable plus the cheese selection is fantastic! Mill City Cheesemongers Is a great Cheese shop. One can taste cheese products that you are interested in prior to purchasing. I would recommend friends to visit the shop! I will go back to Mill City Cheesemongers! Mill City Cheesemongers is the best! I was already a customer so imagine my delight in getting a bonus gift certificate to try some new products. Thank you for celebrating LOCAL businesses - they really do make our community unique! Always happy to support local businesses. The staff and selection are top notch. Amazing: although my favorite cheese may be out for the season there are still plenty of delicious pieces to choose from! Great products & friendly staff! Mill City Cheese Mongers is a fantastic place to learn all about cheese, sample different types, and get a couple of cheeses to take home! Was a wonderful experience fir both me and my husband. Mill city cheesemongers was awesome and we found out about a great venue which we plan to revisit. Every time that I go to the millcity cheesemongers. I'm always blown away by their customer service they always let us sample 5+ amounts of cheeses and I always end up buying more and more cheese than i expect. I 10/10 recommend their aussie magic. i've never even heard of a cheese cloud before. The fact that they give a cheese history lesson is simply sublime. Go here on a sunday where you can pair their cheese with the country white bread which is the 1st stall outside the elevator. This is my local cheesery and my go to when I am feeling like treating myself. Currently they have this delicious out of this world blue cheese wrapped in a pear brandy soaked grape leaves which just is indescribably beautiful. I tried, and fell in love with, this soft cheese that is soaked in olive oil. I'm not quite sure the name but they are described as cheese clouds and are truly clouds of soft salty rich happiness. The workers at cheesemongers are always more than happy to help out. 10/10! Loved this Nift option! Will definitely be visiting the store again soon. I would have never known about Mill City Cheesemongers and the other Mill Stores if it wasn't for the Nift! It was a great experience and the cheese delicious. I will be going back for some of their classes. Great program, an incentive to try new businesses. I sampled many cheeses before moving forward and purchasing two. They were really nice and not pushy at all when I was sampling and I tried about five cheeses. They were really informative about the pairings, which I love. And when I asked for pairings within their shelves, they simply showed me the display as opposed to putting the items into my hands. It was a very good way to do local business because often times I find vendors to be overwhelming, which makes the purchase very standoffish. Great shop in a awesome spot.Check it out! A fun place to frequent. Great selection of cheeses and samples.